Click on the Concert(s) to display more details…. 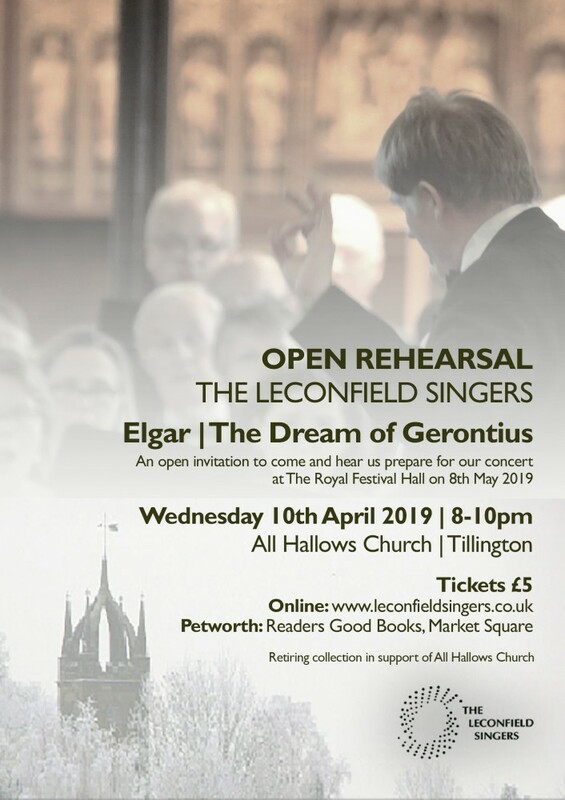 The Leconfield Singers are delighted to invite you to an open rehearsal at the beautiful All Hallows Church, Tillington on Wednesday 10th April 2019 at 8pm, as we prepare for our epic performance on 8 May at The Royal Festival Hall. At the rehearsal, under the instruction of conductor Graham Wili, and accompanied by pianist Joanna Kent, we will be practising excerpts as a part of the full choir from various choruses from The Dream of Gerontius, Elgar’s seminal work described by many as one of the greatest pieces for chorus and orchestra ever written, and described by Elgar ‘the best of me’. For more information on the final concert please expand the next event tab on this webpage. Originally composed in 1900 for three choirs, soloists and a full orchestra, Elgar took the challenge of producing a major work with great aplomb. The piece is based on a Victorian poem by Cardinal John Henry Newman, and follows an “everyman” character (the word “Gerontius” comes from the Greek for “old man”) in an exploration of loss and hope in the face of death, the challenges of purgatory and judgment and the blessing of salvation. It is a passionate and deeply moving realisation of the soul’s darkest experiences: sublimely dramatic and painfully tender. The score is daring and incisive, but beautifully accessible, full of longing, with a powerful interplay of intimacy and grandeur. Conductor Graham Wili is the founder and Principal Conductor of both the English Philharmonia and its sister orchestra, the London Handel Baroque Orchestra, and is in demand nationally and internationally performing in some of the most prestigious concert venues around the world. Tickets: £5 available online or from Readers Good Books, Market Square, Petworth. There will be a retiring collection in support of All Hallows Tillington. 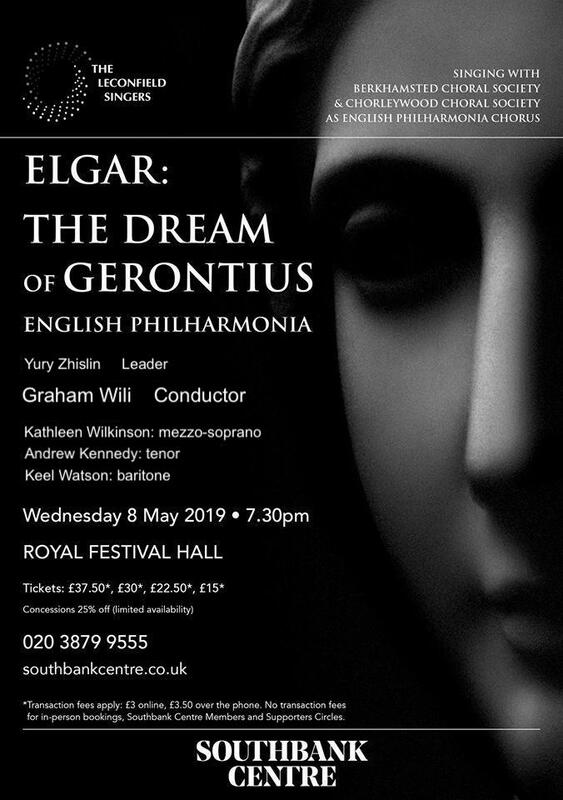 After the success of our performance of Verdi’s Requiem in 2016, we are thrilled to be returning to the Royal Festival Hall as English Philharmonia Chorus to perform Elgar’s ‘The Dream of Gerontius‘, accompanied by the world class English Philharmonia orchestra and soloists Andrew Kennedy (tenor), Kathleen Wilkinson (Mezzo Soprano), Keel Watson (Baritone). Click this link for the event description/to buy tickets on the Southbank Centre website. 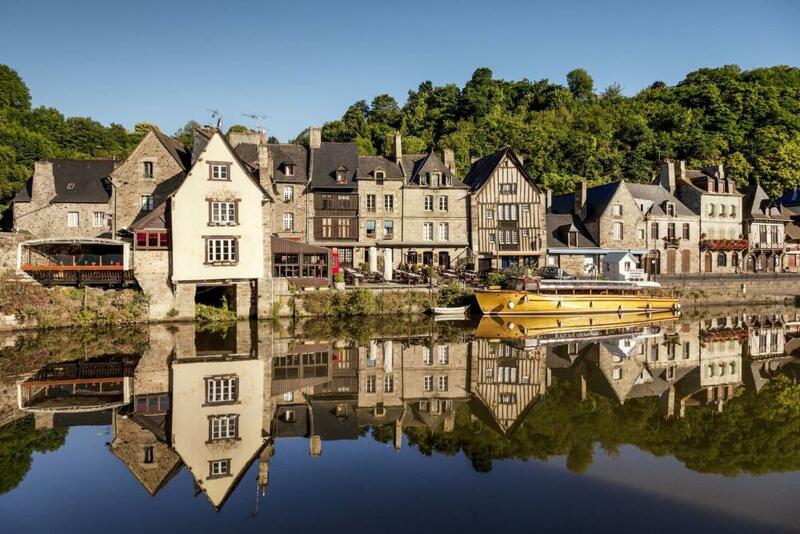 The Leconfield Singers are delighted to announce that our Summer Tour will be based in Brittany! Concerts will be on 18th, 19th and 20th July. More details to follow…..
After our tour in Brittany we will bring the music programme back to Petworth for our annual Autumn Concert at The Sacred Heart Church. At this concert we will be singing Mozart Missa Brevis in D major and various works by Bach, Fauré, Brahms, Rachmaninov and Laurisden. This year we will be holding our annual Christmas Concert at 6pm on a Sunday 8th December at St Mary’s Church, Petworth. If you’d like any more information about our concerts or have any problems or questions relating to ticket sales, please use the contact form opposite or send an email to tickets@leconfieldsingers.co.uk. Please use this form for queries only. To purchase tickets, just click on the concert title (above) to expand the concert details and then click on the ‘Buy Tickets’ icon which will be visible when the box office is open.